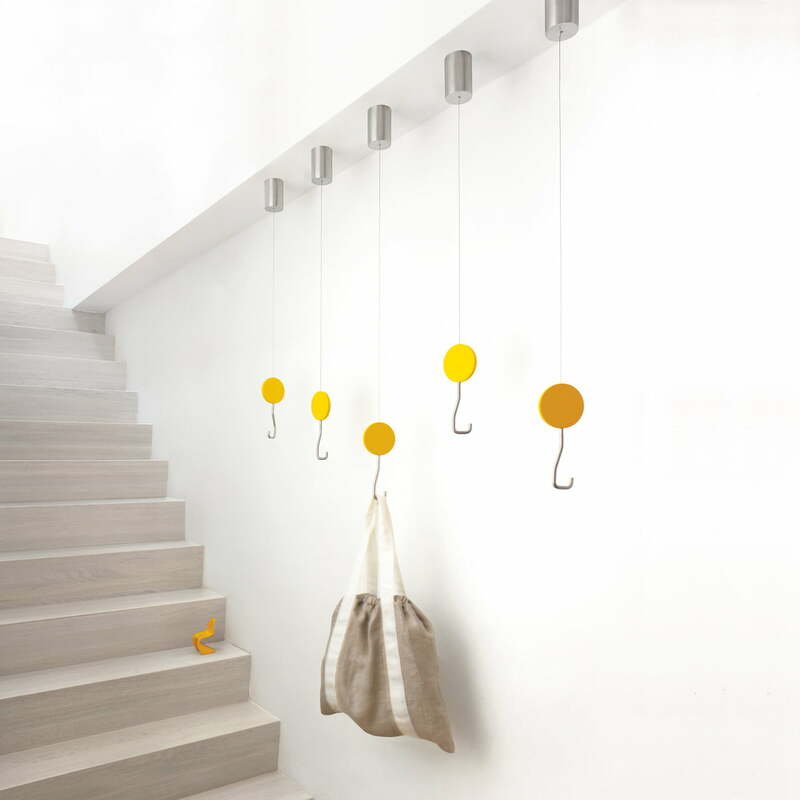 The Snap coat hooks from Schönbuch were designed by Dante Bonuccelli and are an eye-catching addition to any home, with function meeting fun. 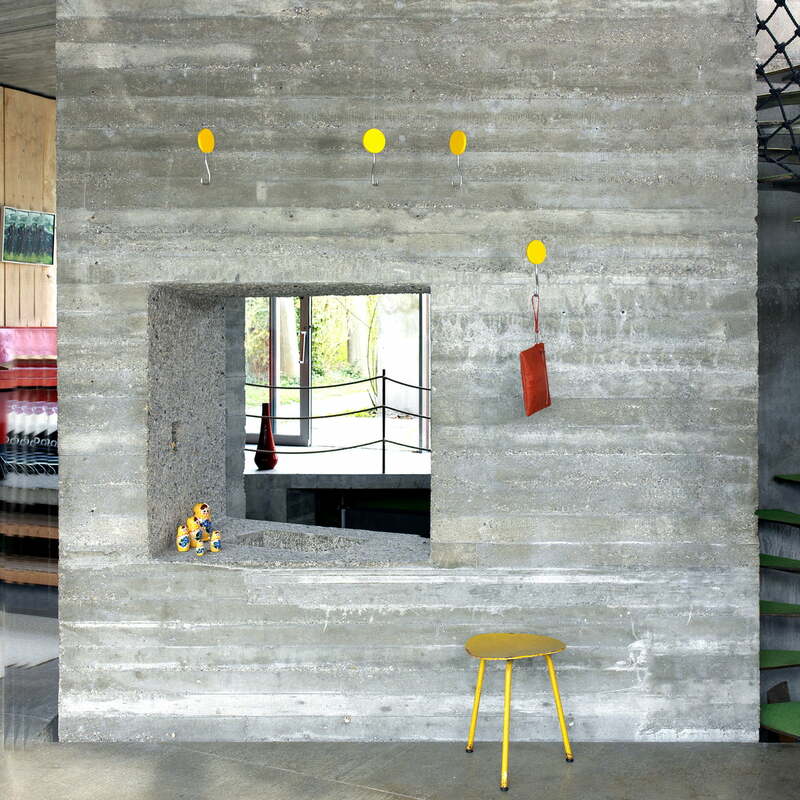 A space-saving idea, perfect for hallways, bedrooms, bathrooms and offices. 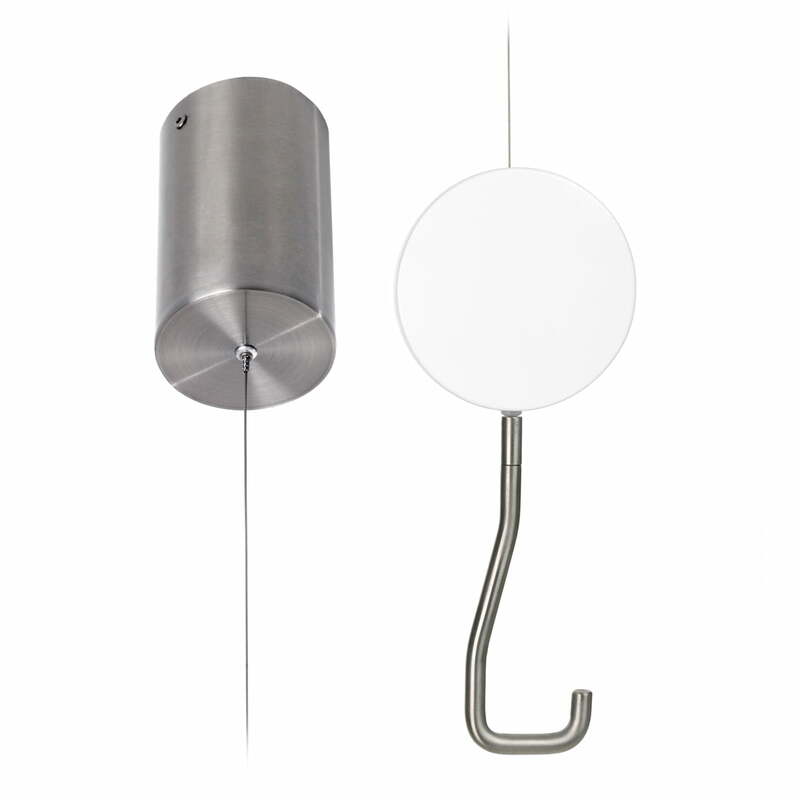 The coat hook is made from a round plate and a hook in brushed stainless steel, which both hang down from a metal cable. What makes them special is that, when nothing is hanging on them, the hooks float upwards by about 40 cm to their resting position, out of the way. 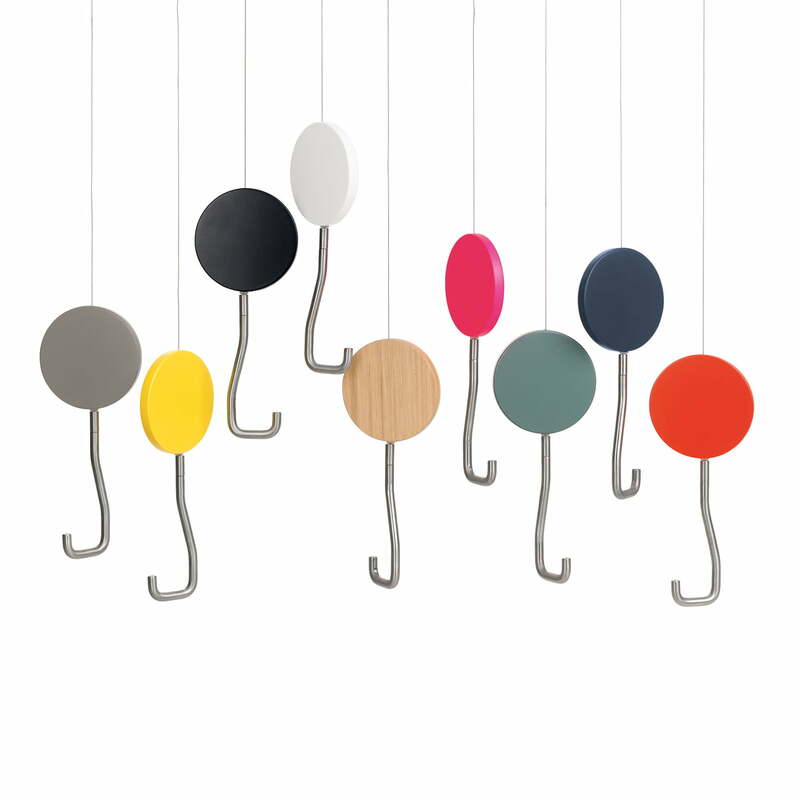 The hook can carry between 10 and 15 kg and the plate is available in a variety of colors. 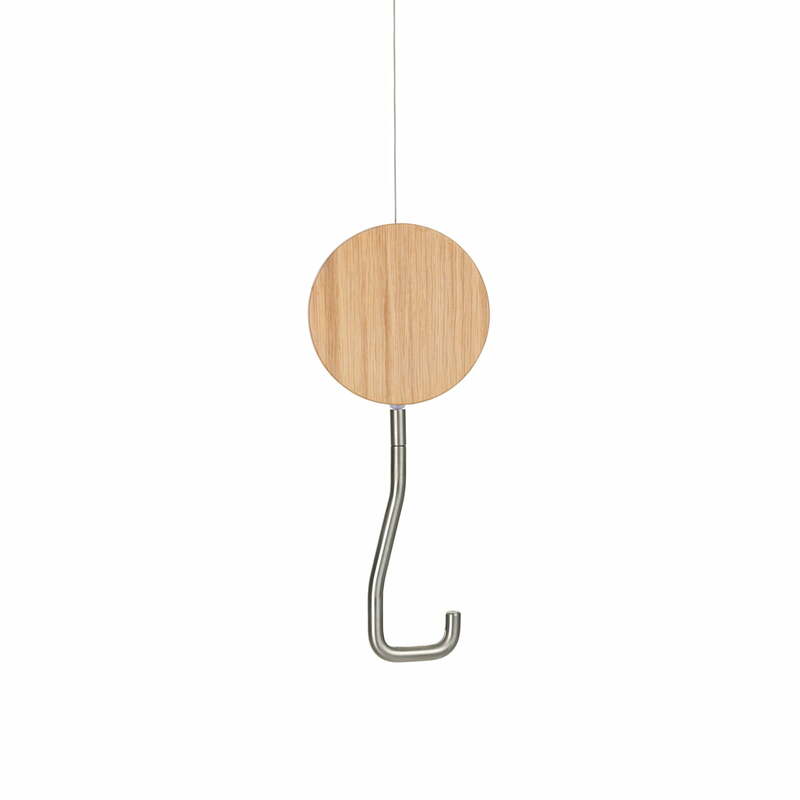 The Snap Coat Hooks by Schönbuch in White Oak Brushed Matt. The decorative plate is made from solid white oak and the ceiling canopy is made from brushed stainless steel.